The Horned Frog appeared in 1897 on the cover of the first TCU college yearbook when the University was still located in Waco. By 1915, the frog mascot made its way onto the Texas Christian University seal. During the years after World War II, the Horned Frog mascot was featured in costume, on stationery, class rings, band equipment, and nearly everywhere on campus. 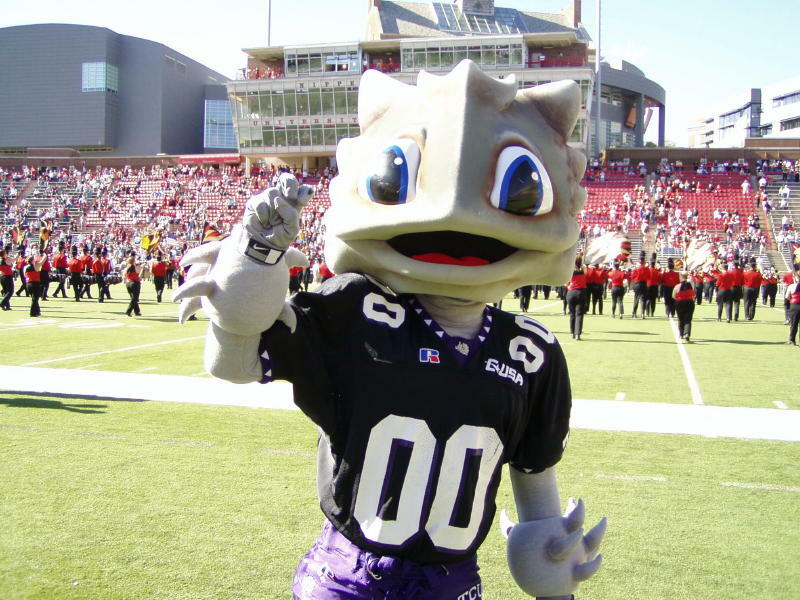 In 1979, the TCU Horned Frog mascot was named Super Frog. Traditions at TCU include the colors of Purple and White. Purple represents royalty, white represents a clean game. Students sway while singing the alma mater and everyone learns the Horned Frog hand sign.